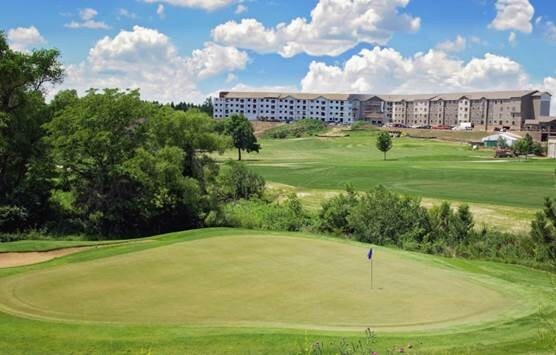 The Bluffs at Willow Run includes upscale apartments and a complete lifestyle center located at the Willow Run Golf Course. The clubhouse features an indoor pool and fitness center along with connected access to a full-service bar and grill. The property features two levels of underground parking with space for storage and golf carts. Construction began mid-2014 and Phase I of the property opened August 2015. This property is owned in-part by the Dakota Real Estate Income Fund II.